6. What Did We Do?! INFO: "At first we were quite shocked at what we had created..."
the Berlin art/music duo CHERIE and NACKT aka WARREN SUICIDE is a fountain of ideas. since their latest album in 2006 "THE HELLO" on uk label FUME their world is overflowing equally in drawings, videos, visual concepts, theatre music, composing, productions, sessions, remixes and new ideas. WARREN has grown its own life! the latest big project "BERLIN STRING THEORY" is a perfect example. NACKT and CHERIE assembled members of 15 bands (a.o. TOCOTRONIC, GODS OF BLITZ…) and a string quartet to re-arrange and re-build their†songs into a full new concert show (new year 2008 at the famous berlin volksbühne). WARREN is shaking hands. 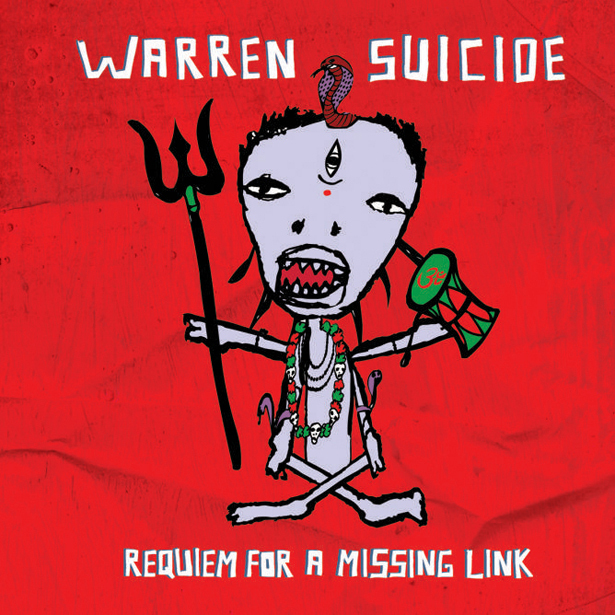 beside all this WARREN SUICIDE also managed to finish a new studio album called "REQUIEM FOR A MISSING LINK". 12 great songs merged into one big composition beyond genre boundaries. tracks like RUN RUN, LAND OF THE FREE or HOME are perfect pop masterpieces between electro and rock, pop and avantgarde arrangements and you can feel all the influences of their latest works. string pieces, distorted basses and drum loops underline the clear voices of NACKT and CHERIE. Beatles punk electrco. REQUIEM FOR A MISSING LINK describes a journey from one world into another and buries the links - as they do not need links. there is no lack of understanding between each parts. this whole album comes as concept art without underlining any heavy meaning: this world is grown and there is no link missing. REQUIEM FOR A MISSING LINK comes as a surprise... like the title track proclaims "I want to love what i don´t understand"!! WARREN marries dark tales and unforeseeable events into something very fresh. the musicality and songwriting combines each song into something better and links the link. T.RAUMSCHMIERE himself ("I TANK YOU") - which is just the right choice: special musick for special people who can love beyond understanding. The artwork of REQUIEM is a another fine drawing by CHERIE and marks the first step of the actual WARREN SUICIDE visual progress.